The code above generates citations like “(A.C. Smith et al., 2002; W. Wallace, J. Snow, 1999)”. 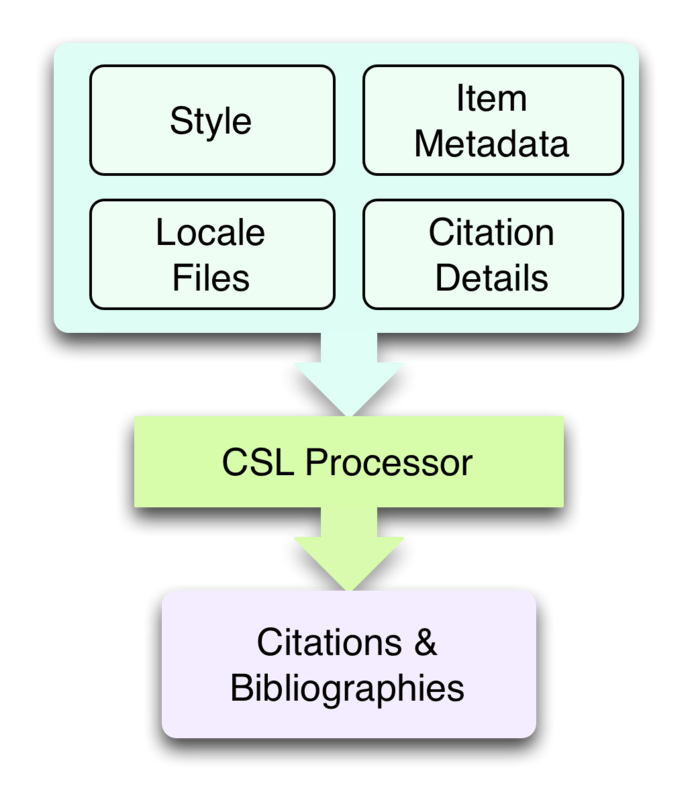 To understand how this citation format is encoded in CSL, let’s first focus on the cs:layout element of cs:citation. Its prefix and suffix attributes define the parentheses around the citation, while the value of the delimiter attribute (”; ”) separates neighboring cites. The format of each individual cite is defined by the contents of cs:layout, which consists of the output of the “author” and “issued-year” macros, separated by the value of the “delimiter” attribute (”, ”) on the cs:group element. The “author” macro prints the names stored in the “author” name variable of the cited item. The initialize-with attribute on cs:name specifies that given names should appear as initials, and that each initial is followed by the attribute’s value (”.”). © Copyright 2015, Rintze M. Zelle. Revision 808a7d9c.